The "book with soundtrack" attempts to place the reader firmly in 1975 by incorporating song links throughout the story. Thanks to today's technology, a “book with a soundtrack” has become a reality. Streaming media services like Spotify, the ability to purchase music via iTunes, and wifi-enabled e-readers such as Kindle Fire and the iPad allow for an interactive reading experience using multimedia. 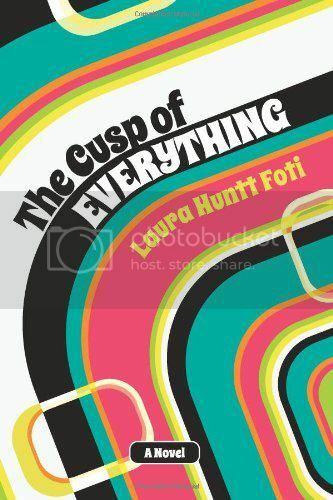 Author Laura Huntt Foti attempts to exploit this technology in her novel The Cusp of Everything, a 1970s coming of age tale that integrates a complete 70s soundtrack. Foti claims that The Cusp of Everything is “perhaps the first” book with a soundtrack; however, the concept actually has existed for some time. In fact, ex-Monkee Michael Nesmith first experimented with the concept in 1974, when he issued The Prison: A Book with A Soundtrack. Included in the package was a novella that accompanied the album. While it received mixed reviews upon its release, writers have since commended the project for being ahead of its time (see AllMusic's extensive review, which dubs The Prison a “quiet revolutionary occurrence”). Nesmith released the equally ambitious sequel, 1994's The Garden, in a similar format, and continues experimenting with sight and sound projects through his company Pacific Arts. Today, readers can peruse the book, click on links, and instantly hear excerpts or entire songs at their leisure. However, Foti's book somewhat harkens back to Nesmith's concept, as she states that she did not want to completely interrupt “the reading experience.” Therefore she created the companion website, which includes the songs in various formats: song clips that link to iTunes and Amazon, and streaming music via Spotify and Playlist.com. Indeed, the site includes many hits from 1975, the story's primary setting: Captain and Tennille's “Love Will Keep Us Together,” the Eagles' “One of These Nights,” 10cc's “I'm Not in Love,” and other tracks from the early 70s. Songs from the 1960s are sprinkled throughout the chapters, suggesting links between that freedom-loving decade and the ensuing movements of the next. Foti's story is a familiar one: the protagonist, Karen Walsh, has just graduated from high school and is both anticipating and dreading college. She has her first summer romance, but that dies out in favor of a mysterious new boy she meets through friends. Even though Mark's sexuality is in flux, Karen still falls in love with him and follows him to Manhattan. What follows is a whirlwind trip through the decade's major issues: increased sexual freedom, gay rights, women's liberation, abortion, and divorce. While Foti probably intended the narrator to sound just like an 18-year-old, the writing occasionally sounds more juvenile. Dialogue often sounds forced, such as Karen's boss at Playland scolding her and her boyfriend for neglecting their jobs in favor of flirting with each other. The boss states that he doesn't want to watch their “hormones percolate.” Would a kiddie amusement park employee really speak to his teenage charges that way? Another challenge the author faces is seamlessly integrating the songs into the text; unfortunately, the tunes and other 70s pop culture references often appear inserted in with no finesse. An example: “Craig prefers what I think of as novelty disco, like Carol Douglas' 'Doctor's Orders.' He even likes the dreadful 'Fly, Robin Fly,' the 'Horse with No Name' of dance music. Mark locates the tail end of 'You Can't Hurry Love' but no six-minute 'Ain't No Mountain High Enough. '” Keep in mind that these are all intended as links, so three sentences cram in five songs. Other times Foti will drop in other pop culture references such as the novel Jaws or the film Mahogany, as if to constantly place the reader of the novel's time period. The audience can conceptualize the story setting without a barrage of reminders. Perhaps the Cusp of Everything best proves that the “book with a soundtrack” concept still has a long way to go before becoming a fulfilling, interactive multimedia experience. The increasingly popular—and affordable—tablets will surely inspire more innovations such as Foti's novel. Until the form is perfected, only readers who came of age in the 70s may find the story interesting. Otherwise the young-adult tone of the novel, along with the awkward insertion of numerous music and pop culture references, may not appeal to general readers.